Who Wants a Wilde Novella! Do you know about Wild Denial? Did you know that Eloisa is GIVING IT AWAY? With each Wilde novel, Eloisa has been adding an installment to this Wildes of Lindow Castle prequel, and sending it to readers who pre-order. 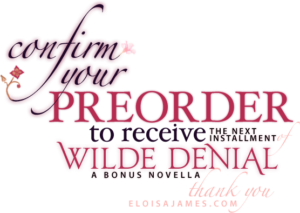 When you 1) pre-order Say No to the Duke and 2) you then register your order with Team Eloisa, you will receive Eloisa’s 160-page novella, Wilde Denial, as a free bonus in early July! 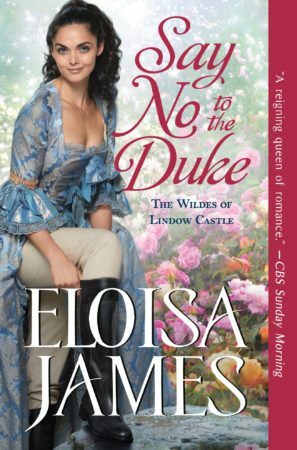 Betsy’s story, Say No the Duke, is book 4 in the Wildes of Lindow Castle series, and will be available everywhere on June 25. 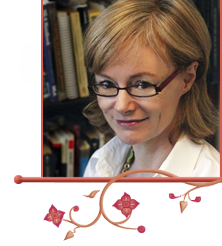 Wilde Denial is an exclusive extra available only from Eloisa. Say No to the Duke Cover Reveal and Chapter One Excerpt!